The Joomla Content Management System is an excellent tool for building any kind of website or blog. Joomla is an open-source application that uses PHP to help you build stunning websites in just minutes or hours. When building your Joomla site or working with the CMS it’s important to have some online resources to consult so you don’t have any frustrating hold-ups or unresolved errors. Read and bookmark these amazing Joomla websites for everything you need to build and maintain a modern Joomla website in 2018. The Joomla Extension Directory is an invaluable resource for any Joomla website owner. This online directory contains thousands of third-party extensions for the Joomla CMS that can add a number of functionalities to your website or blog. To ensure the plugins you download through this directory work well with your website make sure to get modern Joomla hosting and maintain the latest release of the CMS. You can find extensions and plugins through this helpful Joomla site to add calendars, login and email forms, video players, maps, and any number of other features you’d want through this formidable collection of extensions. The items in this directory are stored by category for easy browsing and range from free to around $20 on average with a few exceptions for higher-end tools like live auction software and tools that can transform your website into a new, custom social network. Joomla Tutorials is a great website for learning how to make the most of your Joomla hosting. This website teaches processes like building a Joomla website, making daily backups of your files, and keeping your Joomla site secure. This online resource even has articles and videos that can train you to code for Joomla or customize your Joomla website in ways not found in many GUI menus. This tutorial website for the Joomla CMS also has guides showing Joomla users how to optimize their sites for SEO and utilize popular Joomla extensions for added functionality. The guides and tutorials on this website are free and geared for each version of Joomla from the legacy 1.5 version to 2018’s Joomla 3.x. GitHub is one of the best websites to bookmark if you run a Joomla website or blog. This online resource houses the official code for the core Joomla CMS and many Joomla developers use it to share other Joomla-related projects like extensions and designs. GitHub also lists the official Joomla coding standards so you can make sure your work is on part with new standards and practices implemented by the core development team. There is a search feature on GitHub that will quickly point you to cutting-edge Joomla development projects where you can download and compile hundreds of free Joomla extensions and tools to help you along the way. This site is a must-visit if you’re creating, developing for, or maintaining a Joomla website throughout 2018. JoomlaShine is an excellent resource for Joomla templates in 2018. This template development company offers Joomla templates for virtually every type of website and blog. 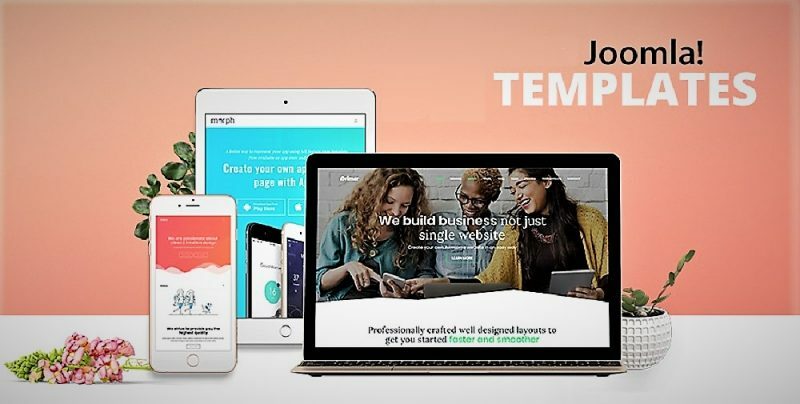 This JoomlaShine repository contains dozens of well-made templates at various price points and offers a membership solution for users who wish to use more than two or three Joomla templates over the next year. This Joomla template website offers a wide selection of templates built specifically for various types of businesses. You’ll find templates for portfolios, sports teams, corporations and startups, retail stores, restaurants, and other types of websites on this modern Joomla developer’s site. This website also contains extensions that were designed in-house to work specifically with the templates they offer. ThemeForest is by far one of the most popular Joomla websites. This online resource offers hundreds of Joomla templates for both your Joomla website’s frontend and your Joomla admin dashboard. ThemeForest categorizes their templates into twelve creative sections which cover everything from wedding websites to blogs and magazines. You can sort the Joomla themes and templates on ThemeForest by user rating to find out which ones have worked best for other users and even read honest, uncensored reviews of each product on their site. This is one of the leading websites for Joomla users in 2018 and continues to be a great place to find cost-effective solutions for frontend designs. Joomla users are not left in the dark when it comes to supporting for the CMS and a plethora of templates, themes, and tutorials to help with any Joomla project. Browse and bookmark these online resources if you intend to build a Joomla website or need to learn how to keep your current Joomla site safe and up-to-date. Whether you’re looking for how-to style guides or need a professionally designed template to give your website a new face then these handy Joomla sites have you covered.